Chennai the fifth most populous city in India and the capital of Tamil Nadu was initially known as Madras. Chennai is also known as the automobile capital of India and it has the maximum number of automobile industry in India. It is city with a blend of old and new in the right proportion. Chennai is housed with a number of historic landmarks and beaches. Chennai is situated on the Coromandel Coast of the Bay of Bengal. Chennai got its name from Chennaipattinam.Early in the 16th century this city was ruled by Portuguese and Dutch traders followed by the British. Later on arrival of the British East India Company, they built a settlement called Fort St George in 1653.The 17th and 18th century witnessed a series of battle between the British and French, in which the later was defeated and moved to Pondicherry and then Madras came under the control of British. The British had Madras as it capital for the southern region of British colonial rule. It was only after independence, Madras became the capital of Tamil Nadu.Madras was recently renamed as Chennai. Natyanjali Festival takes place during the months of February - March and it is held in Chidambaram, a place near the city of Chennai. It takes place for five days and the festival is dedicated to Lord Shiva. The Dance and Music festival is the time when you can witness Carnatic Music and classical dance. People come here from different parts of the country to participate in this festival. This festival is held during mid December to mid January. This is a major fair happening in Chennai every year in the Island Ground. There are a number of stalls exhibiting merchandise and providing good bargain. The visitors can get ample information on Tourism. Pongal is one of the major festivals celebrated in the month of January. This festival marks the end of the south east monsoon and the harvest season in South India. This temple is at a distance of about 9 km away from Chennai belong to the first century B.C.The temple is dedicated to the Rishabhadev who was the first Tirthankar of Jainism. This ancient Shiva temple is situated in Cheyyur, 29 kilometers from Madurantakam.It talks a lot about the architecture of the Cholas dynasty. Idols of Vishnu and Brahma are also worshipped here. 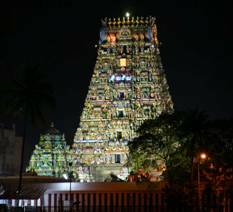 This temple depicts the Dravidian culture and is situated in the Mylapore area of the city. The shrine here s housed with the statue of Shiv Lingam which is believed to be installed by the Lord Brahma. This temple is nearly 300 years old. Parthasarthy temple in Triplicane is supposed to be one of the oldest temple of Chennai. The deity worshipped here is Venkatakrishna Swamy.It is a very famous temple in this area. Ashtalakshmi Temple is situated in the Elliot's beach of Chennai. It is very close to Tiruvanmiyur.The temple features a blend of ancient Dravidian architecture and the contemporary style of temple building. The speciality of this temple is that it is built in tiers. This first Anglican Church in India is situated in Fort St. George. The main feature of St. Mary's Church is the altarpiece, a large painting of the last supper, a 1660 bible and silver plates. The southern end of Marina Beach has the Santhome Basilica church, where the cathedral has a 3ft. high statue of Virgin Mary, which was brought from Portugal in 1543. This church in Elliot's Beach is in honor of Our Lady of Health, the Madonna of Velankanni.It is to extent replica of the one in Velankanni. The Armenian Church was built in 1772, on the site of the Armenian cemetery, The Armenian Church houses a magnificent belfry - 6 bells, claimed to be the largest bells in Chennai. The C.S.I. Holy Cross Church is more than 120 years old is situated in Perambur.Holy Cross Church earlier had a predominantly Anglo-Indian congregation. This church which is situated in the St. Thomas Mount has paintings of 'The Holy Lady and The Child' and 'Our Lady of Expectations' by St. Thomas. The St. George's Cathedral was built in 1815. It has a towering 45m spire and ionic columns. The highlight of this Cathedral is the graveyard just adjacent to it with its guardrail made up of war emblems - muskets, bayonets etc. of the capture of Srirangapatnam in 1799. Makka Masjid is one of the important mosques in Chennai city. Masjid Mamoor is another important mosque, sacred to Muslims of Mannady area in Chennai. The Grand Mosque, in Red Stone, was built by Nawab Wallajah and is an important Mosque of Chennai. Thousand Lights Mosque is situated in the heart of Chennai city. This is a beautiful cream-colored, multi-domed mosque with walls bearing recently- painted sayings from the Holy Koran. Valluvar Kottam is dedicated to the renowned poet Thiruvalluvar. Inscriptions of the famous verses of Thiruvalluvar can be seen here. All the 1330 verses written in the epic work of Thiruvalluvar have been inscribed in the granite pillars here. The Secretariat building and the Legislative Assembly is situated in the St George fort. This fort often dates back to East India Company. It is built along the coast of the Bay of Bengal in Chennai. This house was built in memory of the former Chief Minister of Tamil Nadu, Shri Kamaraj in T-Nagar by the then Chief Minister, M. G. Ramchandaran.This memorial house has the belongings of Kamaraj in exhibit. This is one of the major magnificent monument of Chennai which was named after the Governor General of India; Lord Rippon. The Rippon Building is noted for its remarkable architectural style. The Rippon Building in Chennai is located opposite to the park Railway Station in the city. 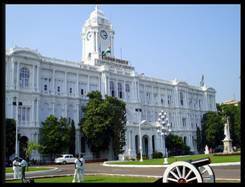 The offices of Chennai Corporation and the Chennai Council functions here. The Senate House known for its architectural wonders is present in the Campus of Madras University on the Marina. This was built by Robert Fellowes Chisholm portraying the Indo Saracenic style of architecture, influenced by Byzantine architectural features. The Anna Square is situated in the Marina Beach in Chennai. It is this place where the mortal of the Late Great Chief Minister of Tamil Nadu, Dr. CN Annadurai rests. It is visited by thousands of tourist's everyday. The Theosophical Society is situtated in Adyar which teaches the study of comparative religions, philosophy and science. This is one of the first museums in India which was sponsored by the government. It is situated in the Egmore region and it is a major tourist attraction. 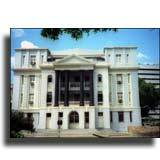 Periyar Science and Technology Centre is one of the premier institutions in the city of Chennai. The centre is located in the premises of Kotturpuram region of Chennai, the capital of Tamil Nadu state. The centre is responsible for hosting events, conduct seminars and provide discourses on various issues relating to science and technology. This is a big gallery present in the Egmore region which has treasures of paintings dating back to history. It has displays of variety of painting sorted into different segments Tanjore Painting Gallery, Decorative Art Gallery, Indian Traditional Art Gallery and Ravi Varma painting Gallery. The planetarium is an integral part of Periyar Science and Technology Centre, a premier institute in the southern state of India, Tamil Nadu. 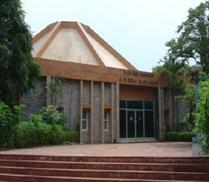 Birla Planetarium is situated on the Gandhi Mandapam Road. This artist's village which was established in the year 1965 in Mahabalipuram s now grown into a big institution. This botanical park situated in the heart of the city in the T.Nagar area is featured by wide variety of trees belonging to different families. It was established in the year 1956 by the ministry of agriculture. Sivan Park which is situated in K.K. 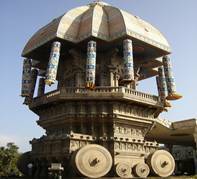 Nagar is known for the monument replicas that have been built on its lands. The 15 feet statue of Lord Siva in a meditating posture is a sensation in the park. Kishkinta is considered as the best theme park in Indian sub continent. 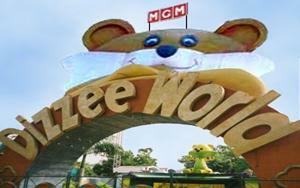 The park is located some 28 kms from Chennai city and it is the first amusement park of India. The park is located in the Muttukadu region and it is featured by more than 60 rides like toy trains, the giant wheel and roller coaster and the ubiquitous 100 feet Dizzee Shake. There are also water sports and other beach activities. The VGP Golden Beach is grounded at the East Coast Road and it takes about 25 minutes to reach this place from the city. 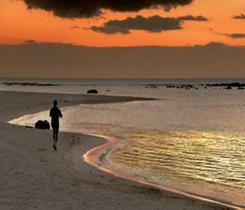 The resorts here entertain the guests by number of activities for fun and frolic. Snake Park located in Adyar is known for its snake breeding. The Guindy National Park is situated in Guindy in the Adyar area. It is featured by more than 20 species of trees, about 14 varieties of shrubs and more than 14 species of woodland mammals. The place also houses many species of rare birds and amphibians. The zoo is situated in the Vandalur area of the Kanchipuram district, which is 35 kms from the Chennai city. The key features of the park include the wild animal species, Lion Safari, Elephant Rides and Battery Operated Vehicle Rides. The Marina Beach is the second largest beach in the world extending for about 12 km shoreline in the city of Chennai. Covelong Beach also known as Kovalam Beach is a fishing village in India, 40 kilometres south of Chennai, on the East Coast Road to Mahabalipuram.Covelong beach is one of the few places in the East Coast where wind surfing takes place. Elliot's Beach is located in Besant Nagar,which is also the end-point of the Marina Beach shore. It was known for ex-patriates. Situated at a distance of 60 km from Chennai, the rock cut temples and caves situated here are the finest in the world and originated between 7th and 9th century. The main attraction of Mamallapuram is the Shore Temple, which is renowned for its intricate carvings and skilled craftsmanship, the world over. 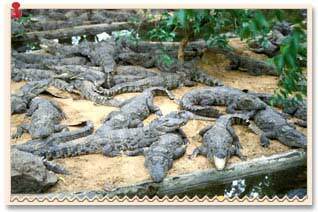 Crocodile Bank is situated at a distance of 40 km from Chennai, near Mahabalipuram. It is more of a sanctuary for the reptiles, which came into existence in 1976. MGR Film City is set up by the govt. of Tamil Nadu. It houses various locations and settings for film-shooting, besides dubbing and re-recording theatres. The software city is coming up nearby. 1.Victoria Technical Institute,Anna Salaai & Central Cottage Industries Emporium in Temple Towers, Anna Salaai - conventional items and handicrafts. 2.SIPA'S Craftlink,Kodambakkam High Road - handicrafts,textiles and papier-mache items at reasonable prices. 3.Auroville community,Khaddar Nawaz Khan Road - beautiful clothes, shoes, ceramics and wide range of toiletries including organic foodstuff. 4.Nalli in Pondy bazar,Vardharams in Chetput & Co-optex in Egmore - Kanchipuram silks and sarees. 6.Burma Bazaar - imported goods. 7.Spencer Plaza in Anna Salai,Shopper's Stop in Harrington Rd, Globus or GeeGee Emerald Plaza in MG Road - brands of clothing, books, music, children toys and accessories etc. 8.T.Nagar & Pondy Bazaar - pavement and roadside shops where you can get everything in this bustling markets.9.Lalitha Jewellery and Prince Jewellery - gold, silver and diamond jewellery. How To Reach This Bazaar? 2.The Komala's restaurant - Kodambakkam and Mylapore. 6.Sparky's Diner Restaurant - East Spurtank Rd. Phone : 91- 44 - 26412222 / 26431010. The Airport in Chennai is situated at about 20kms from the city in Meenambakkom.The City is well connected to the world and most international airlines have flights to Chennai's Anna International Airport. Domestic airlines operate daily flights to all major cities of the country from the Kamaraj domestic terminal near the international terminal. There are two major railway stations in Chennai. Chennai Central is the bigger one which is broad gauge connecting to all major cities and towns of India. The Egmore station is the starting point for meter gauge and broad gauge trains proceeding to destinations within the state as well as trains to neighbouring Kerala. Chennai is connected by good network of roads with all the important places in TamilNadu and other parts of India. Most government bus services for Tamil Nadu and interstate now operate from the newly opened Chennai Mofussil Bus Terminal at Jawaharlal Nehru Salai, Koyembedu.It is claimed to be the largest bus station in Asia. You can also rent car with private tour and cab operators. Pre-paid taxis and airport coaches are available at airports and railway station.